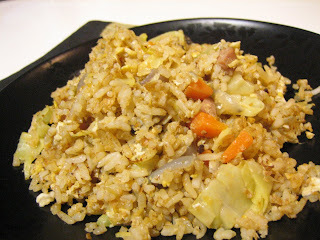 My housemate cooked me fried rice for dinner today YYY !!!!! I had my orchestra rehearsal as usual tonight (last rehearsal before the break!!) so I came home around 9pm. So, I usually cook dinner before the rehearsal. she can cook dinner for me!! 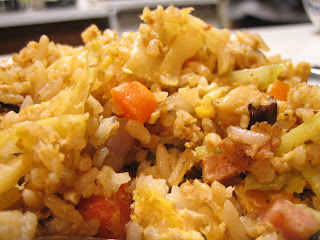 and and the fried rice she cooked was really really REALLY REALLY YUM!!!!!!!!! I ate 2 bowls of fried rice!!! and it was super yummy!! ***We don't have rehearsals during the uni break (2 weeks from next week! yes!) but I really need to practice hard... because our concert is coming up really soon after the break! !